"Please stop making me feel like an environmental terrorist!" Since my childhood fireworks and crackers have been an integral part of Diwali just like it for Chinese New Year or the 4th of July. I am celebrating a religious holiday; I have a reason to enjoy a bit of fireworks, no matter how lame it may look to others; however no one seems to be having a problem with Fireworks Festivals or World Pyro Olympics who are doing it just for the heck of it. It's easier to echo the opinion of crowd, but just because everyone is saying it, doesn't mean it is the truth. 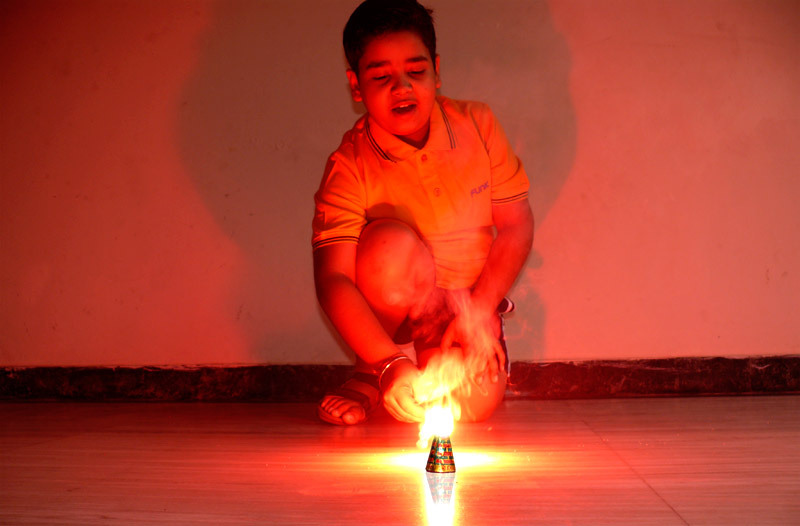 Before you try to brainwash my kids with the concepts of Green Diwali and Dry Holi, it would be a good idea to do a little research on environment and pollution - things like the 40,000 shining new smoke spewing cars that are added to the roads of capital every month, or the 150 litres of water that an average Dilliwala flushes down the toilet daily, or the impact of mindless consumerism - that makes up keep buying new phones and TVs every 6 months has on the environment, or the urban heat islands - the concept of how your house causes increase in average temperatures. Telling a kid to give up crackers is only paying lip service to environment; we can help our environment a lot more if WE ourself are willing to give up a few things… and by raising our voice against the biggest culprits.